American freedom taking Judge's choice female- well over 500 entries! 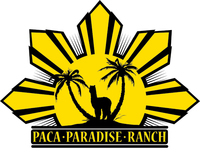 Impact has Accoyo’s White Gold on his sire’s side and his grandsire is Accoyo’s Presidente. 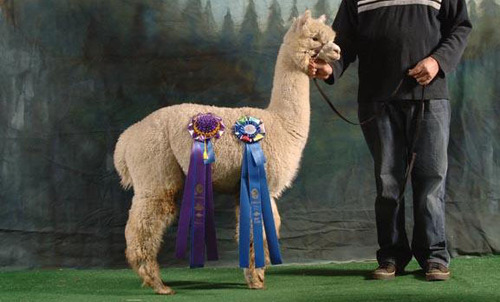 The progeny of his dam and sire’s cria have won more that 30 ribbons at fleece and Halter class shows. Impact is bold, dense, crimpy and fine, measuring 19.5 at 5 years of age. 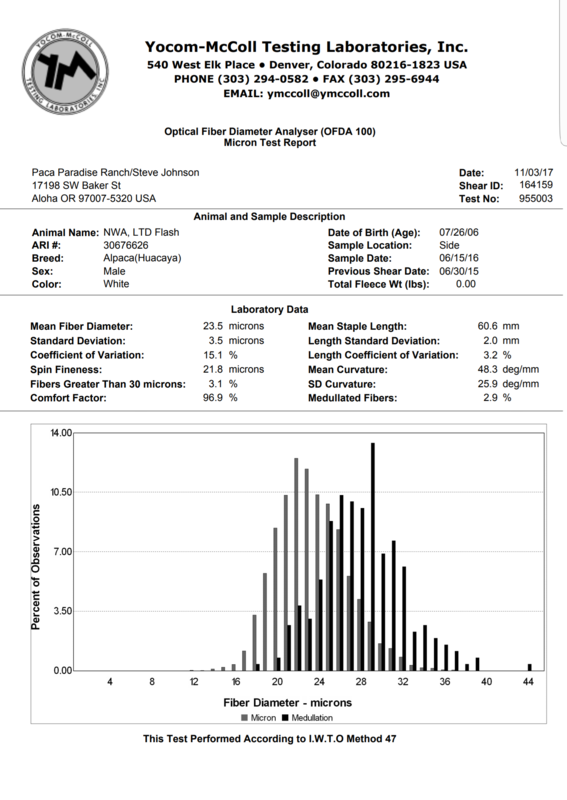 His Coefficient of Variation, or C of V, is a very low 18%. This male will dazzle you with his presence and pedigree. Moanna is one of our top production dams. 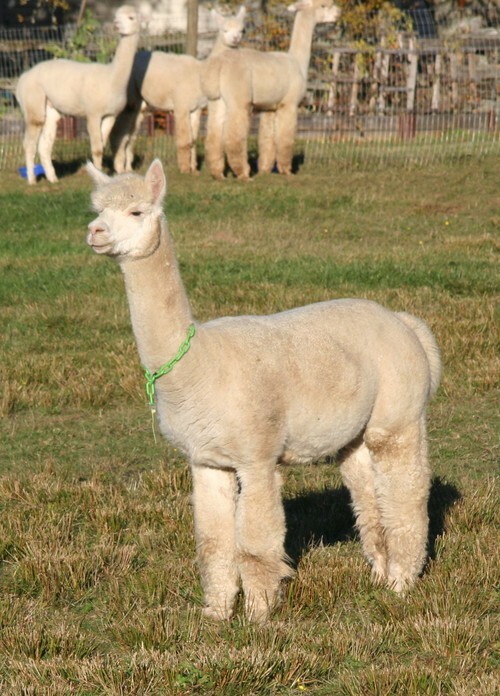 She has excellent fleece characteristics which translates into award winning cria. 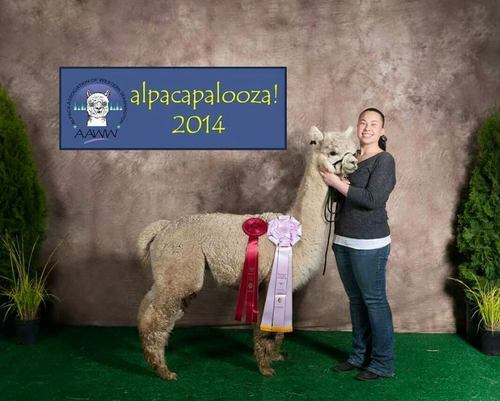 Nwa, ltd Flash represented well at alpacapalooza 2015. His daughter, amerikan freedom took 2nd yearling white female and Reserve color champion, Micro of course took 1st mature white male and reserve color champion, and strawberry field's juvie white male took 1st in an excruciatingly tough class of 14. 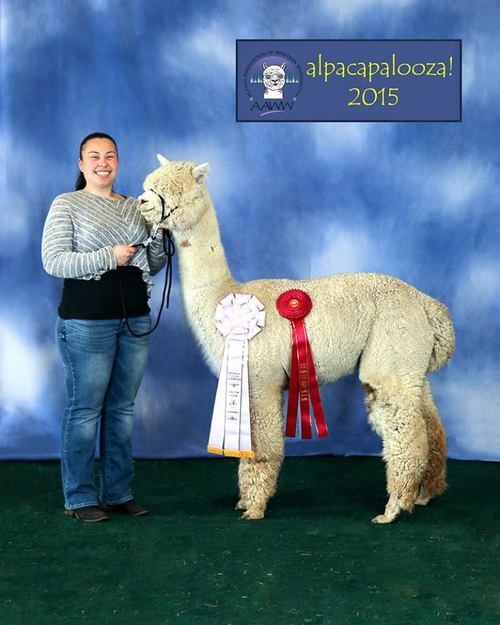 Flash's sister, daniella, also took 3rd white yearling female behind color champ and reserve color champ. 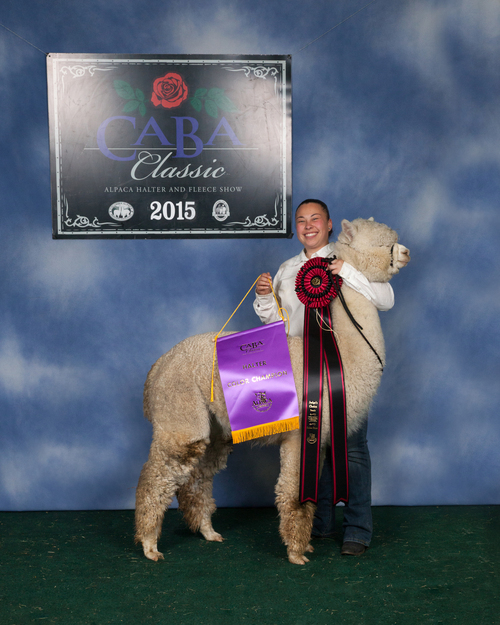 The following month, at CABA Classic level IV show with over 500 of the best alpacas of the PNWA present, Flash's daughter, Amerikan Freedom, went on to take Judge's Choice Huacaya Female. What an honor!! !